With cues of inspiration from the high seas, our Nautical Tide wedding package is infused with hand-crafted design accents where the sea-faring sailor and maiden will feel right at home. Styling draws from Polo Ralph Lauren & Nautica throughout while directing the true focus toward the Bride & Groom! 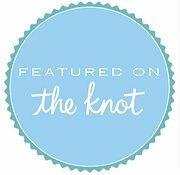 *All of our Wedding Packages include the Officiate, Setup/Takedown, PA System with Music, Filing of the License after the ceremony, Unlimited Email/Phone Call Consultation, and Meeting if you are in the area! Our Miami ‘South Beach’ Contemporary theme is the ultimate intersection of glamour and sophistication. With the perfect amount of tropical flare for the modern couple, this art deco design is the cornerstone of a beachside retreat. Experience the feel of cosmopolitan Miami right here in Tampa Bay, with an unrivaled beach sunset to match. Bench Seating is Limited to 30 Guests, we do have ‘Garden Chairs’ available for additional seating. Touch of ‘twang + sand,’ you’ve got a Country Beach Wedding! If the same setup was put under an Oak tree, on Uncle Rob’s Iowa Farm, you would not know the difference. Our Country Chic Themed Wedding package is arguably the best wedding package we have created to date (wrapped in Burlap of course)!